His home was in the Holloway region north of London, and then divided from it by fields and trees. Between Battle Bridge and that part of the Holloway district in which he dwelt, was a tract of suburban Sahara, where tiles and bricks were burnt, bones were boiled, carpets were beat, rubbish was shot, dogs were fought, and dust was heaped by contractors. The Holloway Road, which is also part of the A1 and seemingly for ever traffic-choked, is unlike most of the surrounding area, in that it has always managed to resist gentrification. However much money is spent by the council and effort made, the second-hand furniture shops and cheap greasy cafes stubbornly remain, and probably always will. 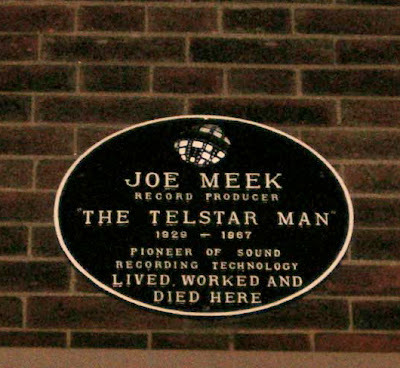 The maverick record producer Joe Meek had his home and studio in a flat above a leather shop at 304 Holloway Road, and although a lot of people probably think that the Beatles were the first big British success over in America, it was Margaret Thatcher’s favourite record – the Meek-produced Telstar by The Tornadoes that was the first UK recorded US number one in late 1962. 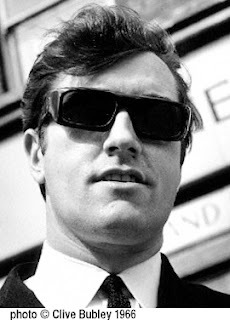 Joe Meek produced hundreds of records, was a undoubtedly a visionary and huge influence on the record industry but in reality he only had a few other hits, albeit great records, such as ‘Just Like Eddie’ by Heinz, Johnny Remember Me by Johnny Leyton and the unforgettable, stomping Have I The Right by the Honeycombs. 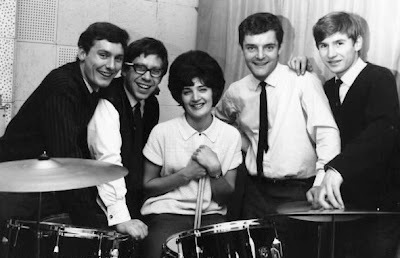 Have I The Right was a record famous for having its drumming augmented by the group stamping on the stairs in the studio – a noise recorded by four microphones attached to the bannisters using bicycle clips. The success of The Beatles, The Rolling Stones and the so-called ‘Beat Boom’, however, suddenly seemed to make Meek’s production work old-fashioned, and his career certainly wasn’t helped after he was caught in a public toilet just off the Holloway Road and charged with “persistently importuning”. It was still four years away that homosexuality would be legalised and he was fined for ‘the crime’. The next day on the front page of the London Evening News he was named and shamed as ‘The Man Who Wrote Telstar’, and it brought his world crashing down around him. 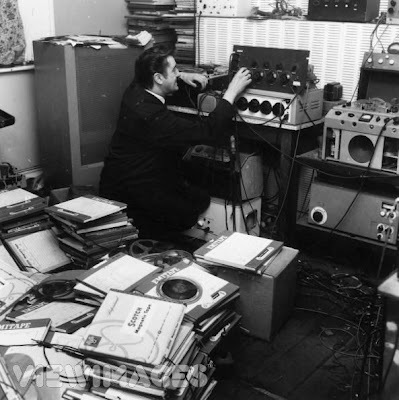 Joe Meek deteriorated into depression and paranoia – he was once convinced that Decca Records had put hidden microphones behind his wallpaper in order to steal his ideas, something he also accused Phil Spector of, hanging up furiously after receiving an apparently innocent phone call from him. Meek was also obsessed with the occult and he would set up tape recorders in graveyards in a strange attempt to record voices from beyond the grave, in one instance capturing the meowing of a cat he claimed was speaking in a human voice. 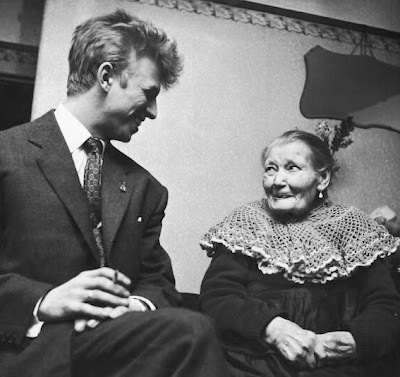 In particular, he had an obsession with dead rock and roll stars especially Buddy Holly who he once claimed had communicated with him in dreams. In the meantime, the hits had dried up and as Meek’s financial situation became increasingly desperate, his depression got worse. On February 3rd, 1967, not coincidentally the eighth anniversary of Buddy Holly’s death, Meek shot his landlady Violet Shenton and then himself with a single barrelled shotgun that he had confiscated from his protegé, former Tornados bassist and solo star Heinz Burt at his Holloway Road studio and kept under his bed along with some shells. 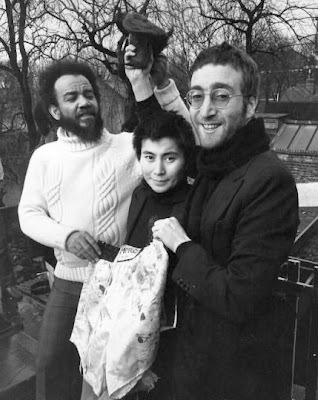 In 1970 John Lennon and Yoko Ono dropped by 95-101 Holloway Road – a complex of adjoining terraced housing and shops that had become the headquarters of several black separatist organisations and ran by a man born as Michael de Frietas but by now was calling himself Abdul Malik or more often Michael X – in tribute to the American Black power leader Malcolm X. De Frietas had unfortunately named the building ‘Black House’ – ironically the name Oswald Moseley had called his British Union of Fascists Chelsea headquarters in the 1930s. John and Yoko had arrived to partake in a publicity stunt for the headquarters where they were going to give for auction, very generously I’m sure you’ll agree, a bag of their own hair, that they had recently shorn off, in return for the bloody pair of shorts worn by Muhammad Ali, or Cassius Clay as he was then, when he defeated Henry Cooper at Highbury in 1966. The much-loved boxer had given them to de Frietas saying ‘here are my shorts stained with the blood of an Englishman’. ent should do about racism, that a black man should impregnate the Queen, so that they could rear a half-caste child. Predictable ‘shocked’ headlines followed. 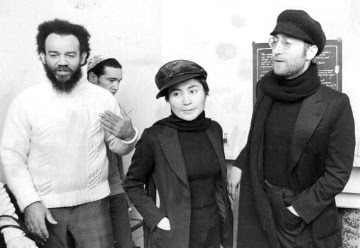 A few months before John and Yoko had dropped round to The Black House, de Frietas had also been charged at the Old Bailey for robbery and demanding money with menaces in what was known as ‘The Slave Collar Affair’. De Frietas had apparently enticed a businessman called Marvin Brown to The Black House where he was beaten up and a spiked collar placed around his neck and subsequently paraded around the building. De Frietas, fearing a second term of imprisonment jumped bail and fled to Trinidad and set up a another commune there. However it was only a few years later, in 1975 , that he was hanged for his part in two murders (despite John Lennon donating £10,000 to help his defence) including that of a 27 year old English woman called Gale Ann Benson, the daughter of the former Tory MP Leonard Plugge (improbably, it was his house in Lowndes Square that was used as the location for Mick Jagger’s film Performance). 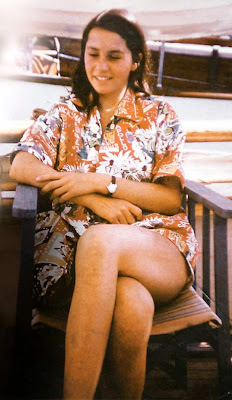 Forensic evidence showed that Gale Ann Benson was forced into a shallow grave, hacked at with a cutlass and buried while still alive (the autopsy found earth in her lungs). 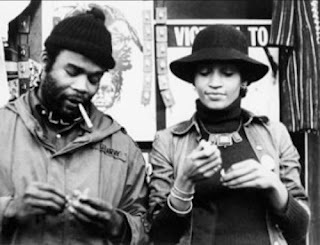 The Black House was run by voluteers and always a bit of a disorganised shambles and without de Frietas’s energy, contacts and hustling abilities it closed down in the Autumn of 1970. Islington’s library is situated on the corner of Holloway Road and Fieldway Crescent, a few hundred yards up from Highbury Corner. 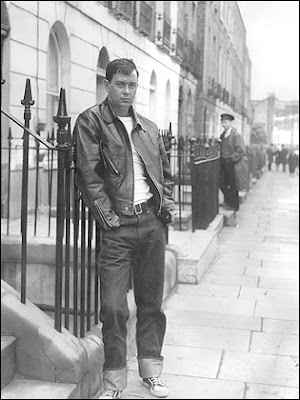 It was here that in the late fifties and early sixties that the gay author and playwright Joe Orton, along with his lover Kenneth Halliwell, defaced 44 library books. The couple then hung around the library giggling every time an unsuspecting browser came across one of their obscene reviews typed carefully to fit in the dust-jackets of popular novels or an illustration swapped around from an incongrous book, for instance a nasty looking monkey would be placed in a gardening book where a picture of a rose should be. 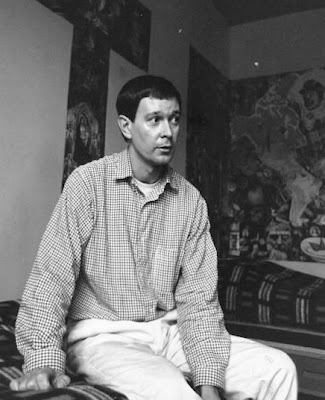 Influential playwright Joe Orton may have become, however the library at the time thought the humour schoolboyish and obscene, and somehow worked out that the defacing was almost certainly Orton and Halliwell. They sent the two of them a fake letter pretending it was from the Town Hall and accusing them of dumping a car near their flat in Islington and Halliwell typed a furious response. Unfortunately the Library found it easy to prove it was the same typewriter that had been used to deface the library books and the two of them got, what seems today to be an incredibly stiff sentence for what seems to be relatively trivial vandalism, six months in jail. They also had to pay 18 shillings and four pence (approximately 92p) in overdue library fines. 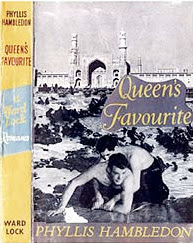 The library in its Joe Orton Collection keeps, rather hypocritically, what it still has of the defaced books as an archive of a local literary great. In Prick Up Your Ears - the film of the biography, written by Alan Bennett, Orton’s sister while mixing the ashes of Orton and Halliwell together says “I think I’m putting in more of Joe than of Kenneth.” “It’s a gesture, dear, not a recipe,” replies Vanessa Redgrave who played Orton’s agent. If you read his diary, all will be explained. KH PS: Especially the latter part. The Trocadero Theatre at Elephant And Castle was built in 1930 and had 3400 seats but by the 1950s the theatre was renowned for its critical and violent local Teddy Boy audience who threw coins at Cliff Richard and jeered Bobby Darin but idolised Duane Eddy. When the film Rock Around The Clock played there, the Teds famously slashed the seats, rioted in the aisles and two policemen were seriously injured when the ‘juvenile deliquents’ let off steam after watching the film. The incidents made headline news. They also loved Buddy Holly who actually made his UK debut at the cinema and concert hall (strangely with Des O’Connor as the compere) in March 1958. 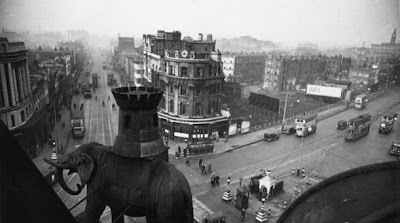 Elephant And Castle, like a lot of South London, had been heavily bombed in the Second World War (most of the damage occurring over just two nights in 1941) and for over a decade the streets, where once music halls, brothels, pubs and tightly-packed terraced houses had stood , now lay desolate and dilapidated. From this grim and desperate south London district a new phenomenon grew, The Teddy Boys – Britain’s first youth cult. Their style was derived from Savile Row tailors who had revived the Edwardian look after the war, ironically for upper-class ex-army officers wanting a dandyish look, however the fashion was quickly taken up by teenagers in and around Elephant And Castle in the early fifties and the name given to the followers of the fashion movement soon got corrupted to ‘Ted’ or ‘Teddy Boy’. They wore long drape jackets, usually with a velvet trim collar and pocket flaps, high-waisted drainpipe trousers, chunky brogues and later large crepe-soled shoes (known as brothel creepers), white shirts and narrow ‘Slim Jim’ ties. These clothes were mostly tailor-made at great expense and paid for through many weekly installments. The Teddy Girls meanwhile also wore drape jackets but with hobble skirts (these are narrow at the hem and thus ‘hobble’ the wearer) or toreador pants, cameo brooches, and espadrilles. It was possibly the first example of a sartorial protest against authority and post-war austerity and, realistically, the beginning of the British teenager. 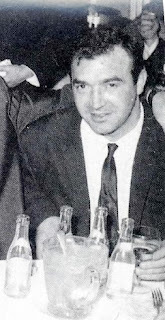 The self-styled ‘King of the Teds’ in the late fifties was Eddie Richardson, brother of the future South London gang leader Charlie Richardson. The Richardsons were soon to become infamous for their rivalry with the East London Kray Twins but also for their sadistic methods of torture they dealt out to their enemies. These included being nailed to the floor, teeth being pulled out by pliers (the speciality of their fellow gang member ‘Mad’ Frankie Fraser) and being electrocuted to unconsciousness. 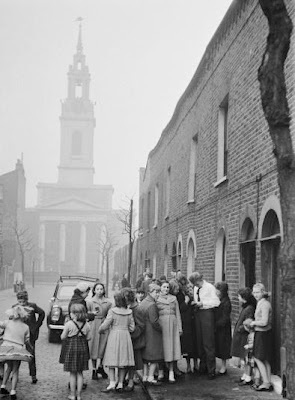 However the Richardsons were just part of the local tradition and there had been a history of violence in this part of South London for centuries – even the word ‘hooligan’ (according to the Oxford English Dictionary) comes from ‘a 19th century Irish family in south-east London conspicuous for its ruffianism’. The original Hooligan was apparently a Limerick-born Patrick Hooligan (originally Houlihan) and his family who specialised in street violence in the mid Victorian era. By the beginning of the 20th century Elephant And Castle and its surrounding area was perhaps the most lawless part of the capital. The main gang of criminals, led by Charles ‘Wag’ McDonald, were the so-called Elephant Boys. However while the men were heavily involved in protection rackets and organised violence, the local women were experts at shoplifting. A woman known as Aggy Hill, known as the ‘Queen of the Forty Elephants’, and her associates (presumably some of the Elephants, but did anyone call them that to their faces?) would descend on the West End in chauffeured-driven cars and fleece the shops while their cars waited outside. Of course there were no double yellow lines, officious traffic wardens and parking meters to disrupt the stealing. The Teds pre-dated American rock and roll but they grew to love the rebellious aspect of this new musical fashion, and this part of South London in one way or another produced many of the British stars that were coming to prominence at the time, basically copying their US conterparts. Terry Dene was born above a sweet-shop in Lancaster Road (a street long since bulldozed and demolished) in Elephant And Castle in 1938. He started playing at the famous Two I’s coffee bar where the influential producer Jack Good spotted him and signed him for popular music television show Six Five Special. 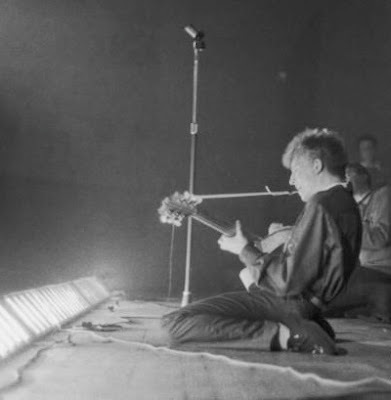 His first release was A White Sports Coat which was an instant hit but he found the looming stardom, which seemed to his for the taking, hard to cope with and he was arrested for being drunk and disorderly and the popular press attacked him – the establishment at the time blamed ‘evil’ rock and roll music for seemingly all of society’s ills. It led to a nervous breakdown and his mental health only deteriorated when he started National Service and because of this he was soon discharged after only two months. This time the headlines were even worse as the press presumed he was just trying to avoid conscription. 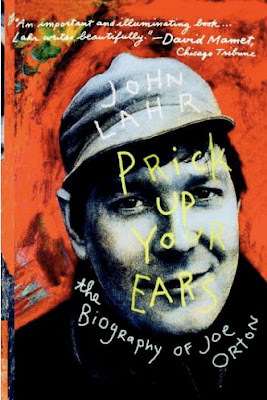 His career was now in ruins, and although he appeared in a film ‘The Golden Disc’ and joined the talent-spotter Larry Parnes’ stable of stars, he was unable to recapture the momentum and faded from the music scene. There were several unsuccessful comebacks and in 1974 he released a book and album entitled ‘I Thought Terry Dene Was Dead’, unfortunately it didn’t really make any difference and the majority of people presumably thought he still was. Just ten minutes walk away from ‘The Elephant’ on the Waterloo Road was a cafe called The Cave (so-called because it was under some railway arches). Three young musicians played there in a skiffle group called The Cavemen and named after the cafe. They were Lionel Bart, local boy Tommy Hicks and Mike Pratt. They’d all met at a party at a sort of pre-hippie Beatnik commune called The Yellow Door next to The Cave and over six or seven months they played at coffee shops and cafes around town for up to ten shillings a night. They slowly started finding an audience especially at the Two I’s cafe in Soho where they was spotted by the impresario Larry Parnes who re-christened Hicks ‘Tommy Steele’. Decca Records signed Steele in 1956 and in October the trio recorded ‘Rock With The Caveman’ with the help of some British jazz notables including saxman Ronnie Scott. It became the now solo Steele’s first UK hit. 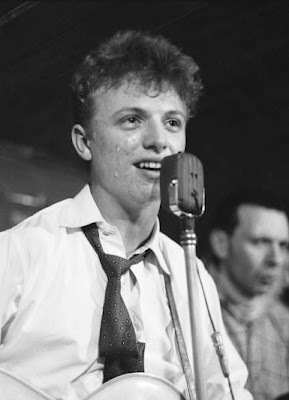 A year later the song ‘Handful Of Songs’ which came from the film soundtrack of ‘The Tommy Steele Story’ (released in 1957 and incredibly made in three weeks) and written by Bart, Hicks and Pratt went on to win a Ivor Novello award for the best song. 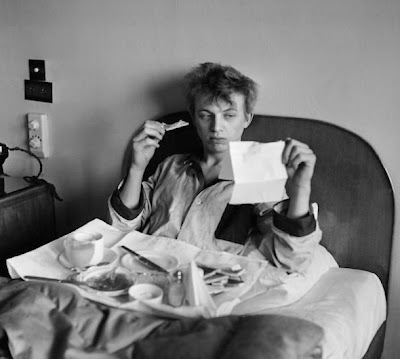 Pictures from Picture Post in 1957 – he was still living at Frean Street in Bermondsey. 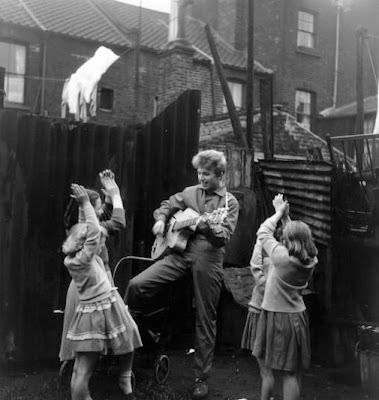 Tommy Steele soon became a huge success albeit more as an all round family entertainer than a rock and roll star. Lionel Bart went on to write Living Doll – the massive Cliff Richard hit and of course was the writer of the hugely successful musical Oliver! – incidentally Bart couldn’t read or write a note of music and he could barely plonk out a tune with one finger on a piano – so he wrote all his famous songs by humming his tunes into a tape recorder. Mike Pratt, before dying of lung cancer in 1976, eventually went on to strangle Roger Moore in The Saint, gave Patrick McGoohan a severe beating in Danger Man and was the villainous Simey in The Adventures of Black Beauty, but his famous role was when he played Jeff Randall in the fantastic sixties series Randall And Hopkirk (Deceased). 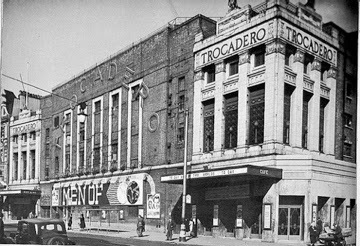 The Trocadero was demolished in 1963 as part of the huge sixties rebuilding of Elephant And Castle. 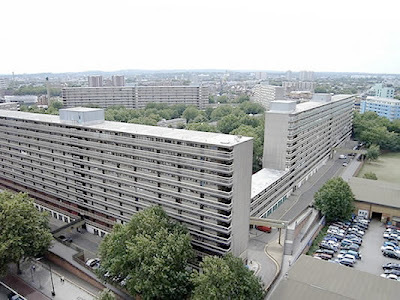 During the previous decade there had been calls to regenerate the violent and filthy district, and in September 1959 ambitious plans to redevelop the area with a shopping centre and housing estates were released by Sir Isaac Hayward the leader of the London County Council. He said ‘With its famous name and history of traditions the new Elephant and Castle offers opportunities one would have to go a long way to better. Here’s a real chance for the South to ‘show them how’ on the north side of the Thames’. Well the chance certainly wasn’t taken. The new dystopian Elephant And Castle made south London even more of a joke and a seeming irrelevance to north Londoners and the planners managed to finish off what the German bombs had started. They decided to make the Elephant into one enormous gyratory system surrounded by massive, brutal, featureless and ugly concrete estates where the car was king and pedestrians banished to dirty, leaky and poorly lit walkways that became just a labyrinth of fear and crime. 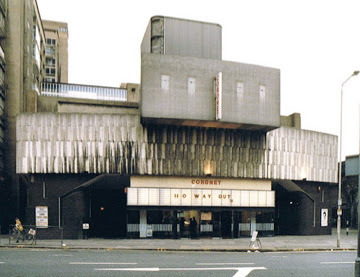 Part of the regeneration, however, included Erno Goldfinger’s Odeon which opened in December 1966 on the site of the old Trocadero. It featured a famous ‘floating screen’ which had no masking at the top and bottom and had two black panels which rotated around from the back of the screen if the aspect ratio needed changing. The Odeon, itself, was shockingly demolished in 1988 for nothing more than a car park.